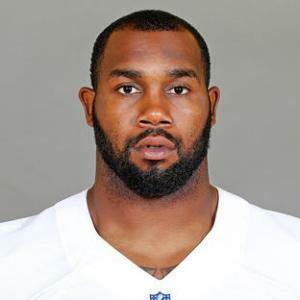 Darren McFadden was born on the 27th August 1987, in Little Rock, Arkansas USA, and is a professional American Football player, who plays in the running back position for the Dallas Cowboys; previously he spent seven season playing for the Oakland Raiders. His career began in 2008. Have you ever wondered how rich Darren McFadden is, as of mid- 2016? According to authoritative sources, it has been estimated that Darren McFadden`s net worth is as high as $20 million, an amount earned through his successful career in football. Darren grew up in Little Rock with eleven siblings; in his childhood days, Darren faced several hardships, including poverty and his mother`s drug addiction. He went to the Springdale High School for only one semester, but then attended the Oak Grove High School in North Little Rock, where his football-playing career began. During his high school career, Darren became one of the best running backs in his class, and received several awards, including the All-American and Arkansas High School player of the year from the Arkansas Democrat-Gazette, and the Landers Award. Following high school matriculation, Darren received a sports scholarship for the University of Arkansas, where he played football from 2005 until 2007. He continued successfully in University, and recorded 4,590 rushing yards with 41 touchdowns in his three years. During his college career, Darren was one of the best prospects, and on account of his great performances, he won numerous prestigious awards, including the Doak Walker Award twice, Jim Brown Trophy in 2006, Walter Camp Award in 2007, and was also named SEC Offensive Player of the Year in 2006 and 2007. In the 2008 NFL Draft, Darren was selected as the fourth overall pick by the Oakland Raiders, which marked the start of his professional career and of his net worth, as he signed a contract worth $60.1 million over six years. His career saw a slow start as he only had 499 rushing yards, and four touchdowns in 13 games. The second season was no better, as he was marred with injuries, and only played 12 games for 357 rushing yards, and one score; it was his lowest season ever in the NFL. Darren`s third season was his best so far; for the first time in his career, Darren had more than 1,000 rushing yards, actually 1,157 and seven touchdowns. Unfortunately, his numbers began to decline, as he again had injury problems, and didn`t play a full season until 2014. He then signed a new contract with the Raiders, but was eventually released. In 2015 he became a part of the Dallas Cowboys, signing a contract worth $5.85 million over two years, which only increased further his net worth. In his first season at Dallas, for the second time in his career he had a season with more than 1,000 yards, recording 1,089 yards and three touchdowns. Currently, he is recovering from elbow surgery; he injured his elbow at home during the Memorial Day weekend, and is on the injured reserves list. Regarding his personal life, Darren has three children with three different women, whose names have been omitted from public view. He filed a lawsuit in 2016 against his business manager Michael Vick worth of $15 million, after he allegedly defrauded him to invest in several business ventures.